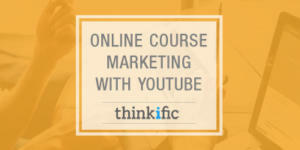 Now that we’ve covered the benefits of YouTube for marketing your online course, and the overview of a teaser video structure, let’s learn the basic process of how you actually drive sales from YouTube. We’ve also put together the ultimate YouTube guide to help you create amazing videos. I’ve put together a short summary / checklist as a reference for you. Get the Checklist here. The Search – Once you’ve got your teaser up, someone can find it through a YouTube or Google search. We’ll look at how to improve your chances of being found in searches a little later. So in our example: A parent searches for information on how to sleep train a toddler. At this point they may have no idea there’s even a course out there, they are just looking for some help or information. Your YouTube video pops up with an enticing title “How to prepare your child’s room for sleep training” looks helpful so they click to watch it. The Sale – once they’ve watched your teaser video, they’ve gotten some value from it and now they’re looking for more and you’ve told them where to get it with your call to action. Some of them will follow your advice and head over to your website to check things out. The conversion – I won’t get into too much detail about landing pages and conversion optimization here, but just a few quick pointers. Give them something more for free in exchange for their email – remember these people only found you on YouTube a few moments ago and they may not be ready to pull our their credit card just yet. So offer a free trial of your course or a free one page report to help them out. Get their email – ensure that the key call to action on this page results in you getting their email and adding it to your list – you can then try to convert them to a full course now or at the end of the free trial and you can also follow up via an automated email campaign. Automated email follow up campaign – this part is really key, make sure you don’t just stop here. Get back in touch with these people regularly with automated emails to increase your chances of a sale. * More than 70% of my sales come from follow up sales generated through my email campaign, and not on the first visit to my site. Maximize your conversion – Free trials of your course are a great way to do this! What I mean by free trial is giving them access to the first lesson or two for free and then they must purchase before they can access the rest of the course. This gives them value for free and gets them more familiar with you and the course you are selling. Ensure that you get their email before you give them free trial access as you’ll want to market to them if they don’t buy yet. So that’s the overview of how to sell on YouTube. 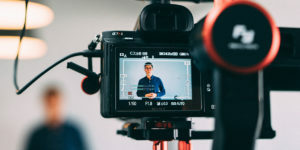 Now let’s dive into some specifics on getting this set up and in particular optimizing your videos to ensure you get more views and more sales. The goal here is to be successful on YouTube. For some that may mean the adoration of millions of fans. For us success means driving learners and sales to your online course. With the added benefit of building your brand as an expert. I like the idea of a free trial, and your advice to make it limited content — instead of a limited time offer — makes great sense. And that’s just one tip! Can’t wait to read the checklist you’ve promised. Yes, the limited amount of content is key for the free trial. Also prevents cheating. Did you receive the checklist? It should have been emailed to you automatically. If not take a look in the spam folder or let us know.